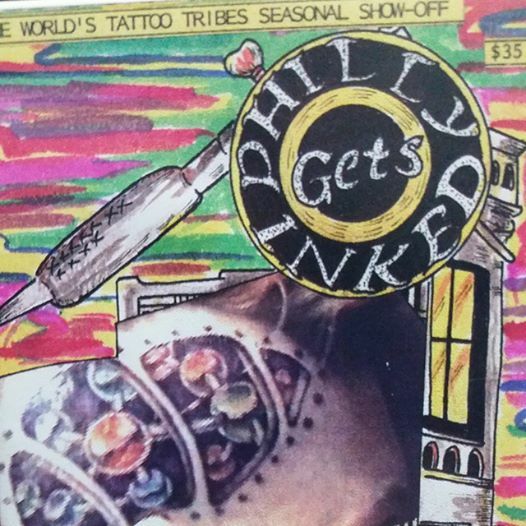 Another VHS tape sent in for archival by the fine folks at Yellow Beak Press, The World’s Greatest Tattoo Fan is a 1989 documentary on legendary tattoo fan Elizabeth Weinzirl. I’d write something up about Elizabeth and her friendship with Bert Grimm and her connection to the tattoo world, but that’s all covered in the documentary. Instead, I’ll encourage you to read the Wiki page on director/tattoo artist Mary Jane Haake to find out more about a very under documented tattoo culture personality. The rain has started and allegedly Hurricane Irene is on her way. My creepy little dog is sitting by my side as I convert more aging VHS video over to digital files and listen to the storm. Today’s video is another excerpt from the horribly titled ‘Colored People Invade San Diego’ featuring the legendary Elizabeth Weinzirl (June 2, 1902 – September 8, 1993) being interviewed by Crazy Ace Daniels. Elizabeth talks about her introduction to being a ‘tattooed lady’ and shows off some really great old tattoos; Bert Grim work recolored by Don Nolan no less. I have some Lyle Tuttle footage captured and being processed now. Should Irene not kill me, it’ll go up soon.